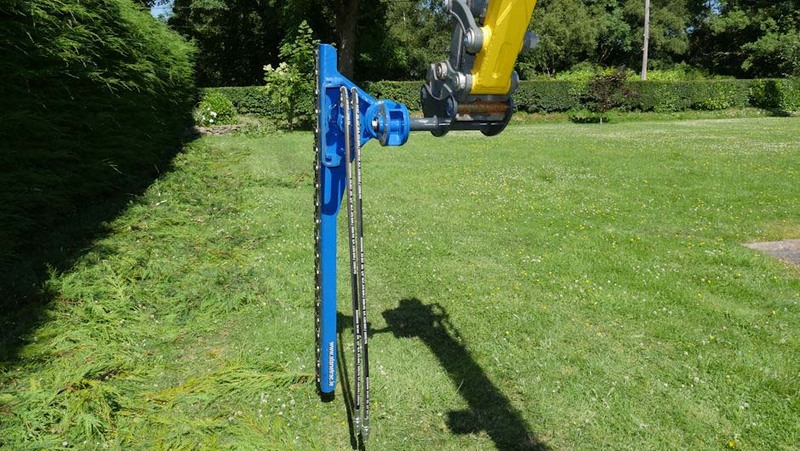 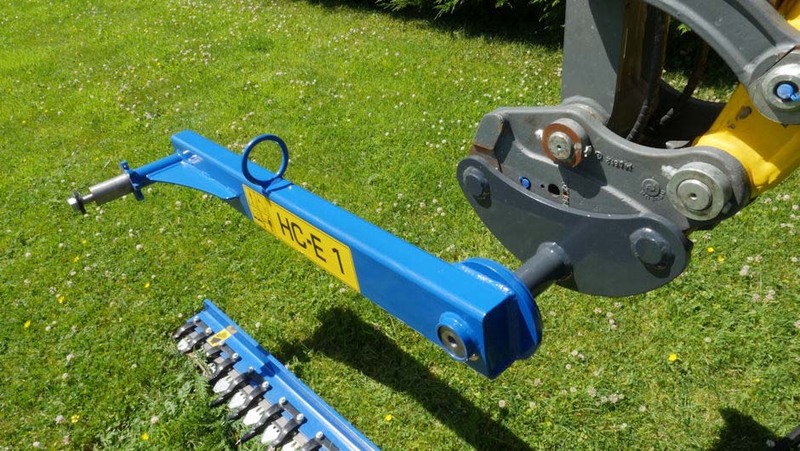 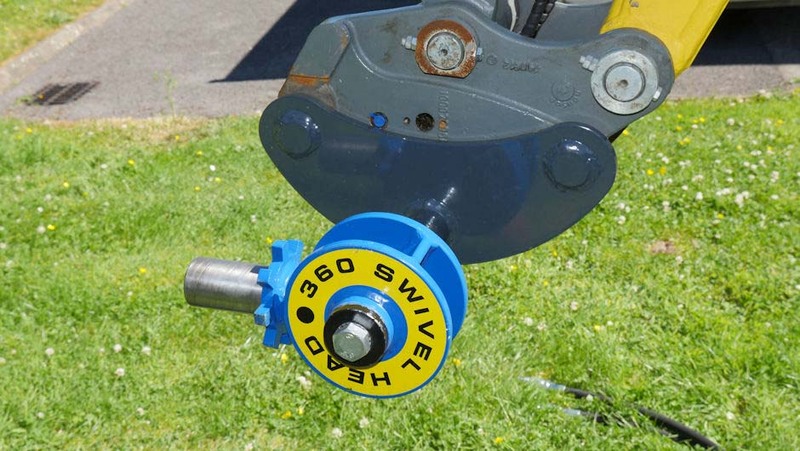 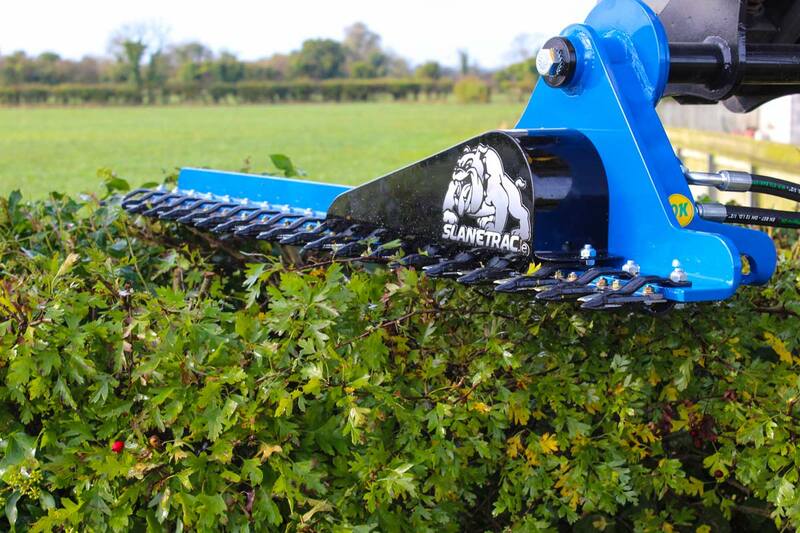 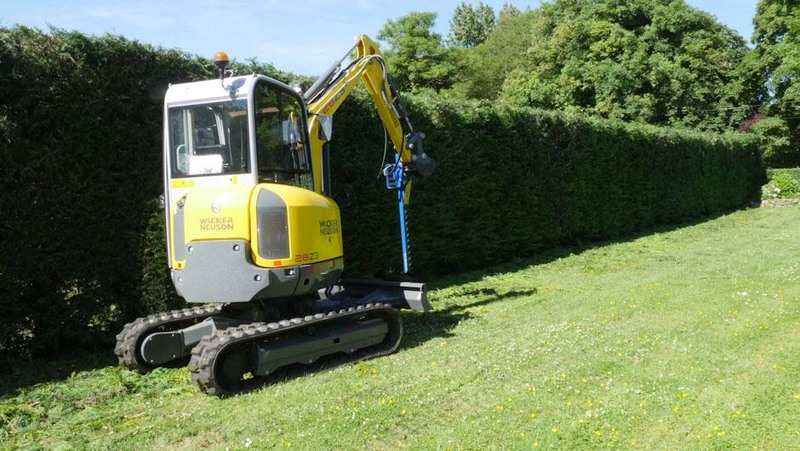 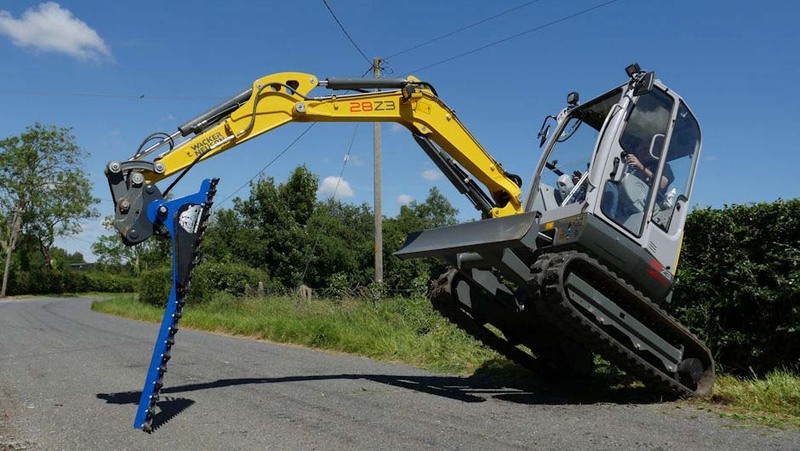 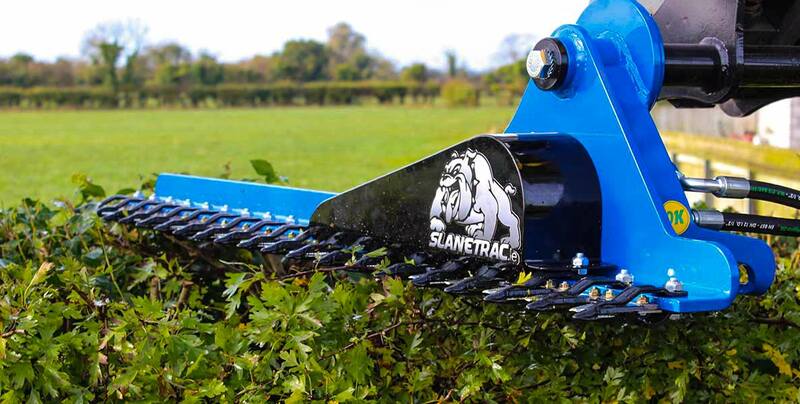 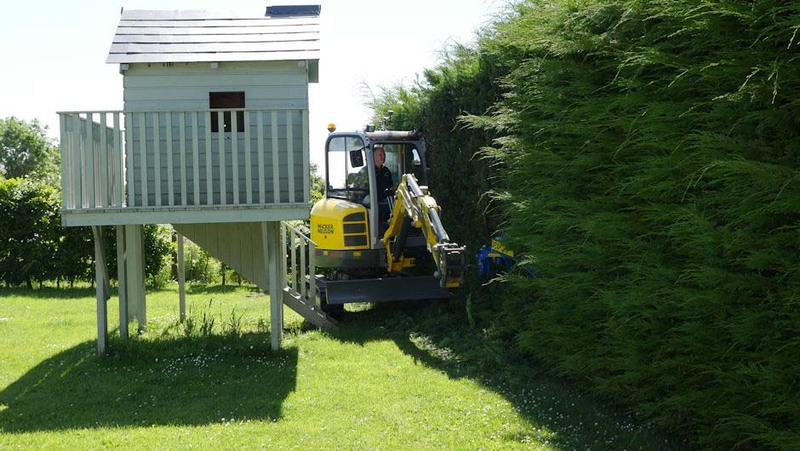 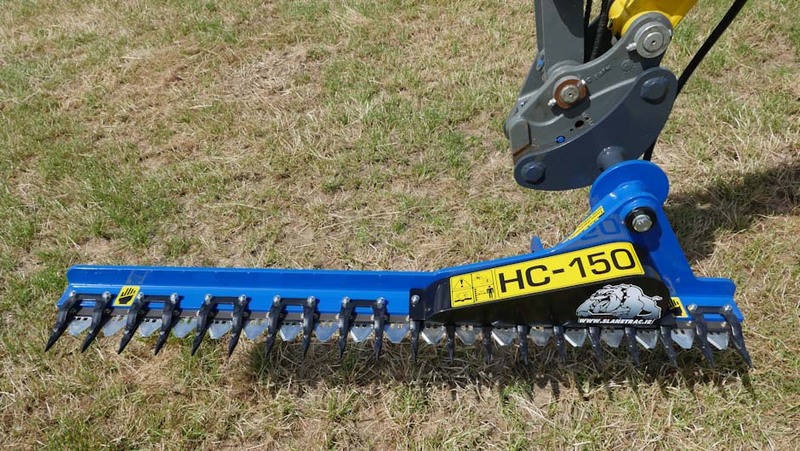 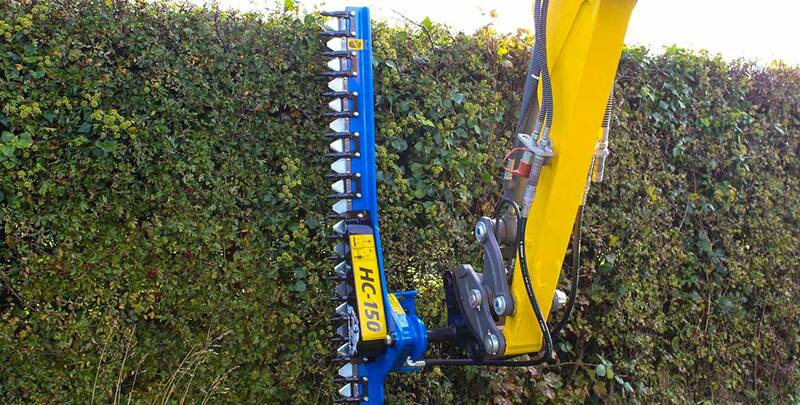 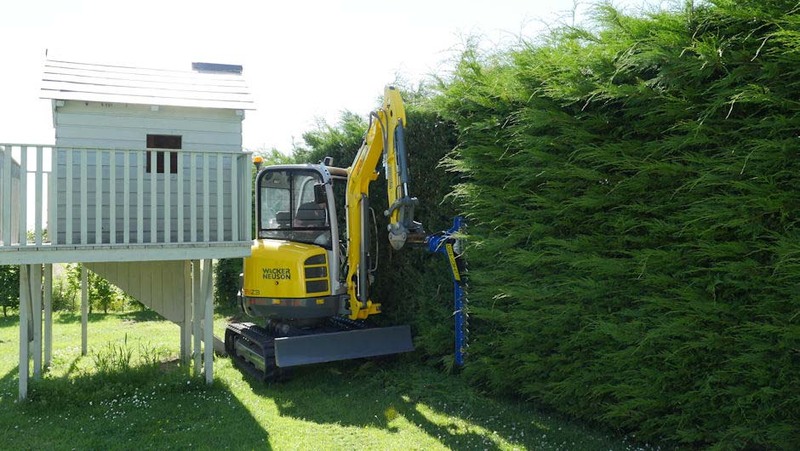 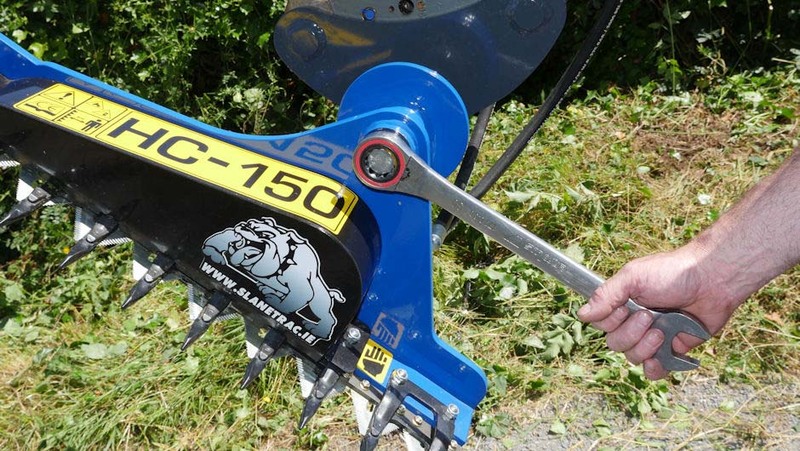 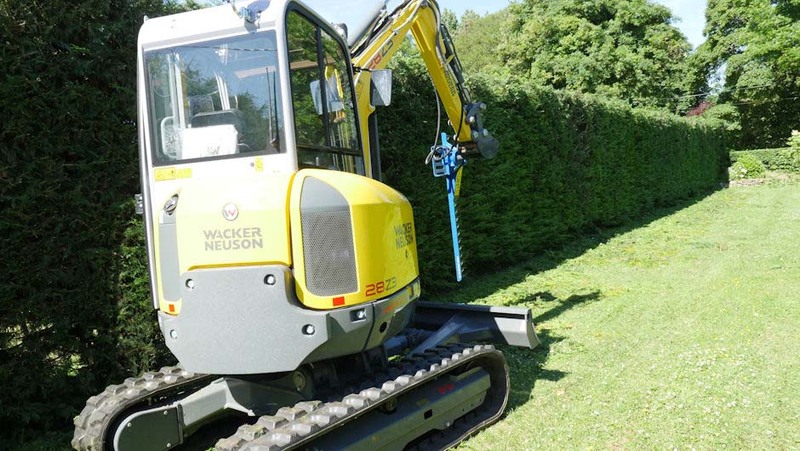 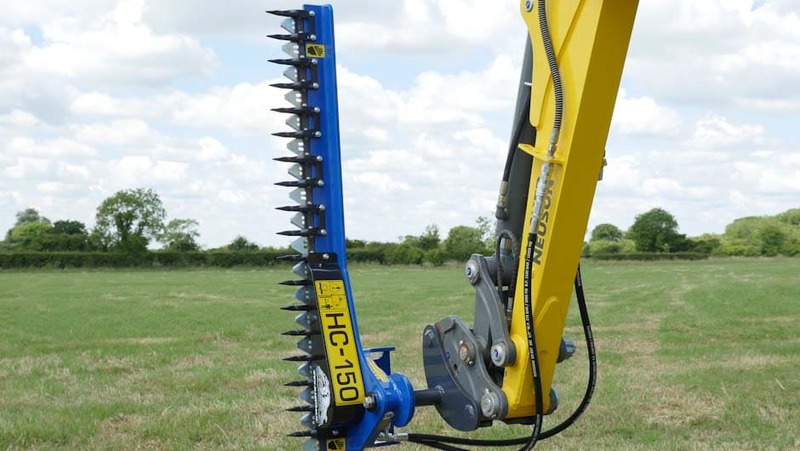 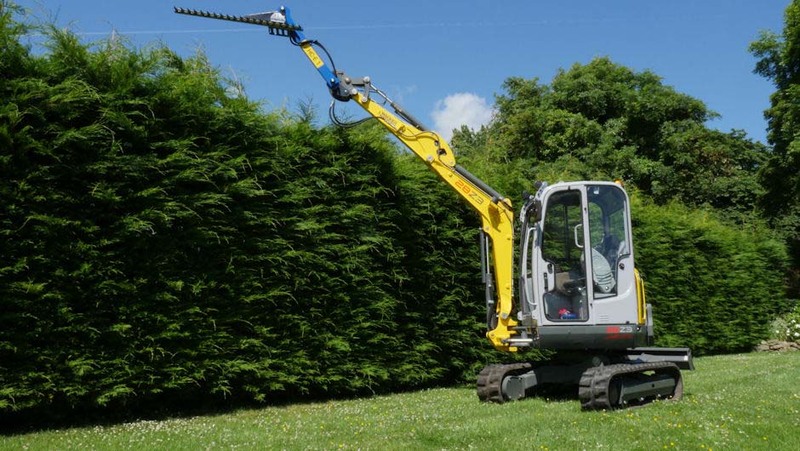 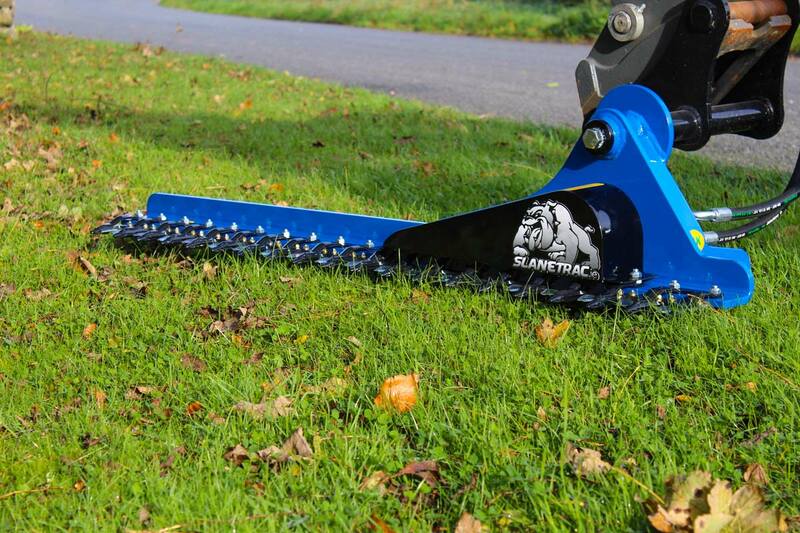 The Slanetrac HC Series Mini Digger Hedge Cutter range is designed for mini diggers from 0.8 ton to 7.5 ton. 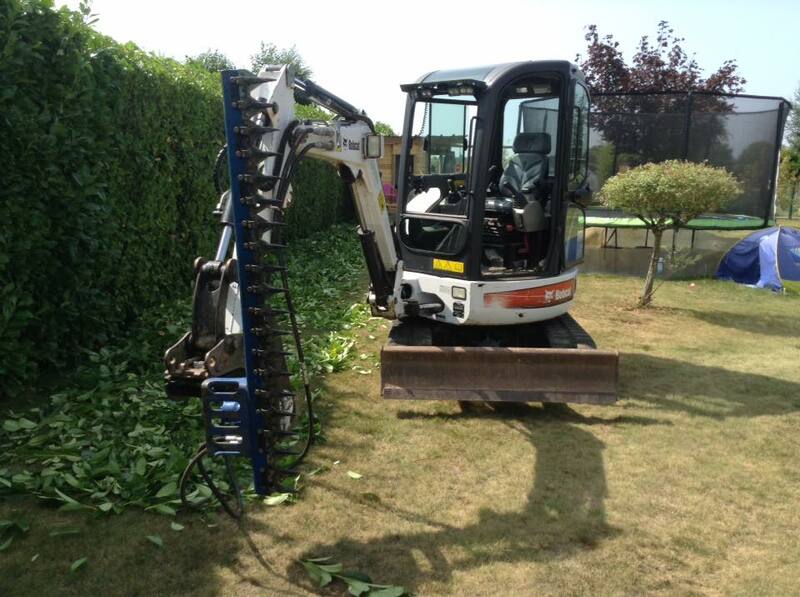 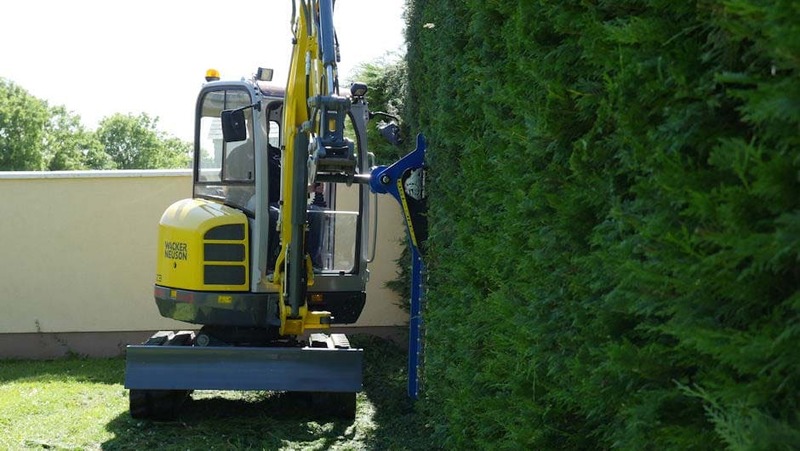 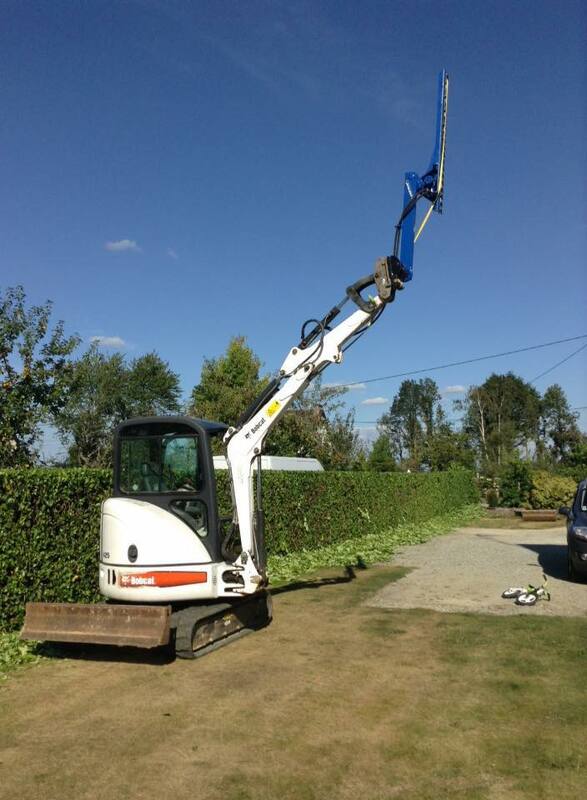 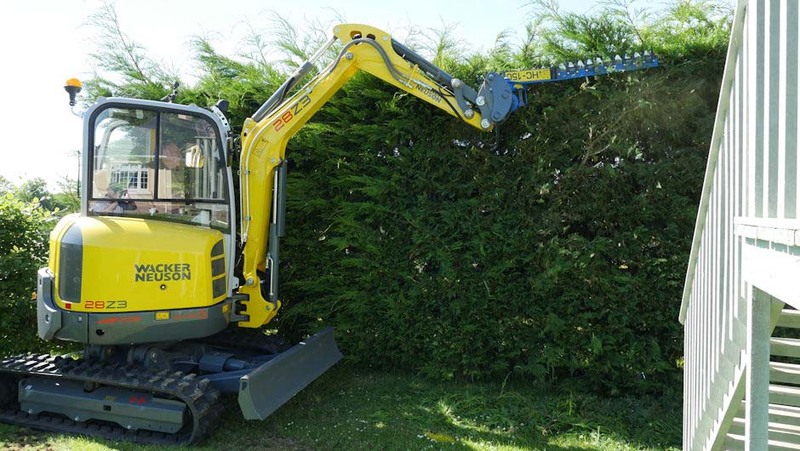 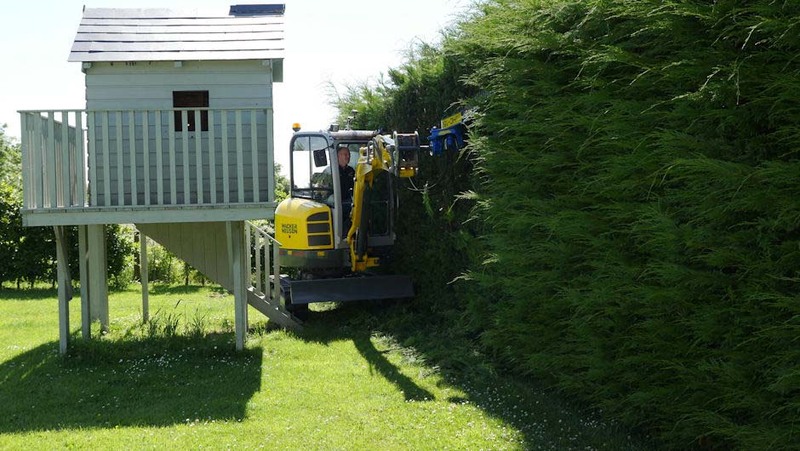 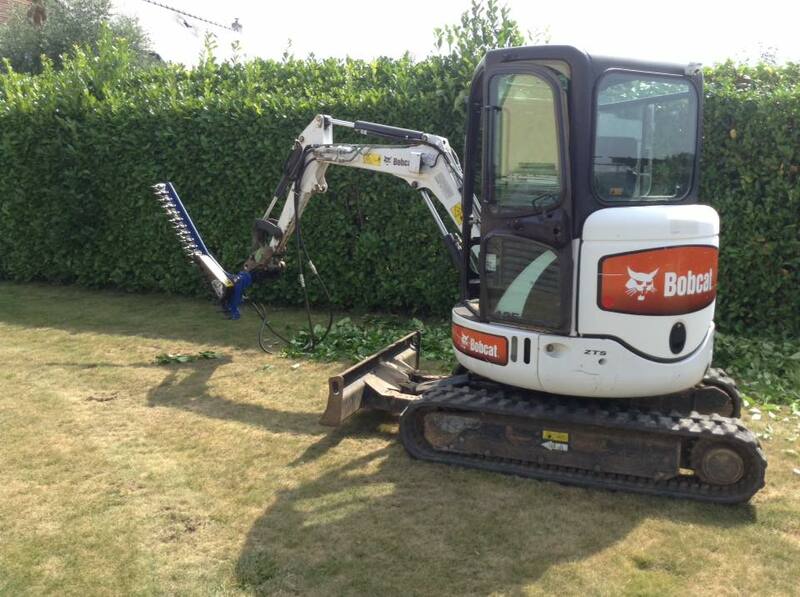 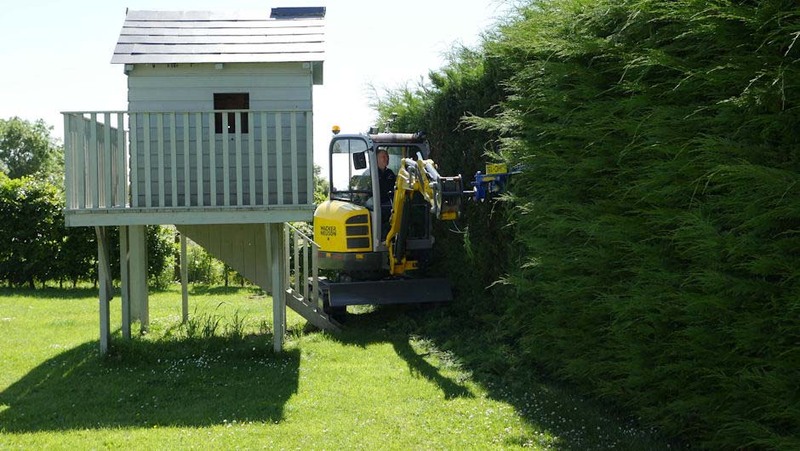 Keep close to the hedge and use the slewing motion of the machine to move through the foliage. 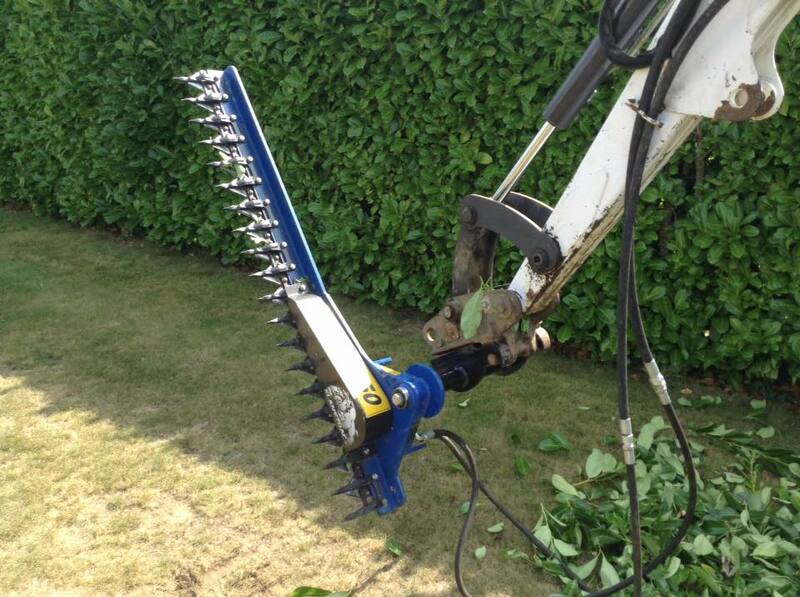 This will allow you to clean all cuttings from the hedge and ensure a neat finish. 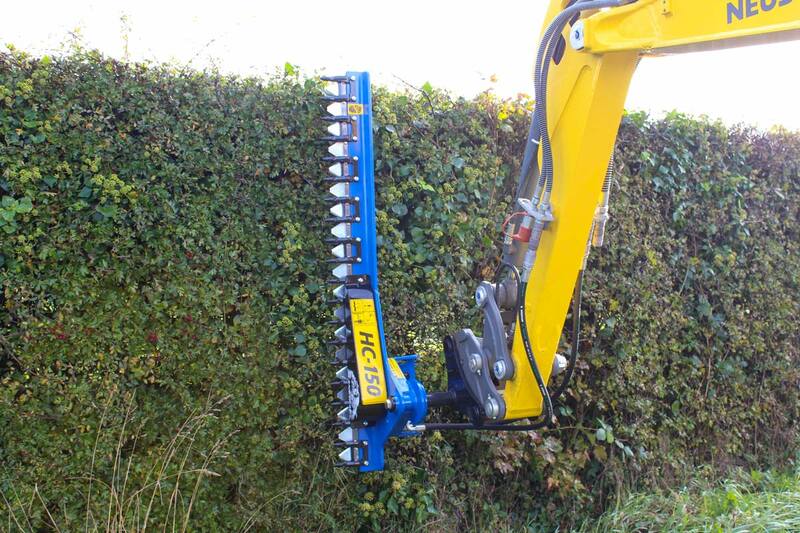 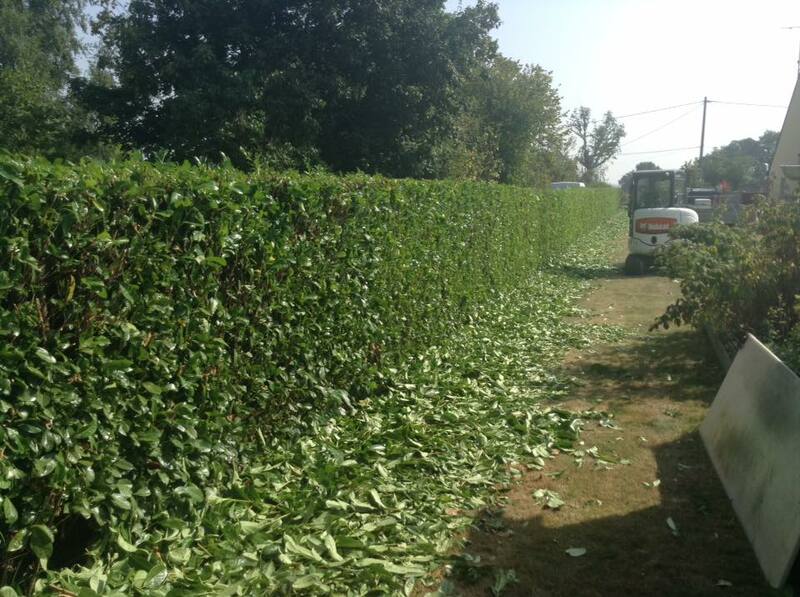 When cutting the side of an overgrown hedge it is best to track 1m at a time and use the slewing motion to cut. 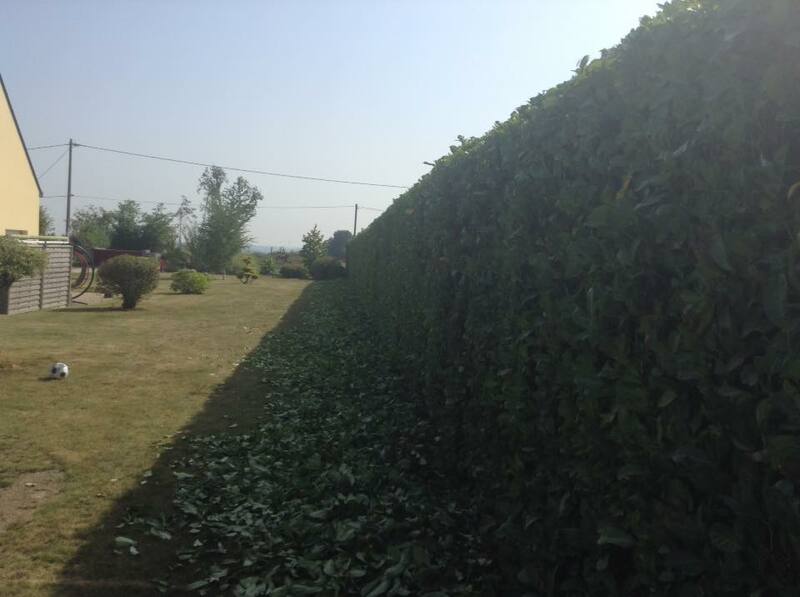 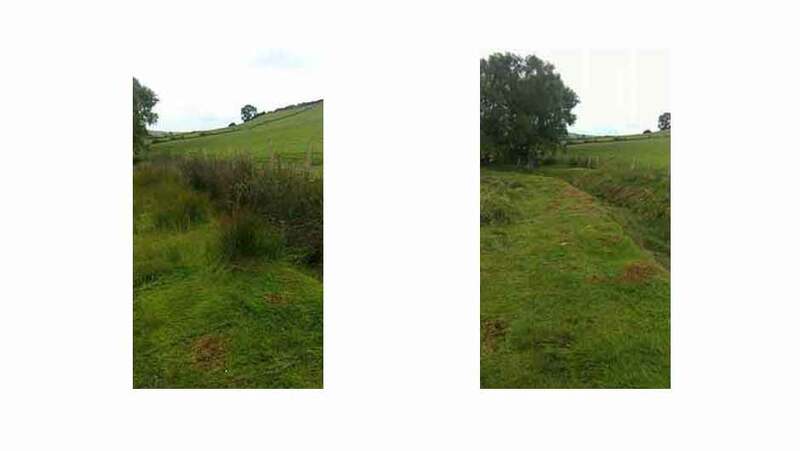 The best way to cut is using a tracking motion with the tracks aligned parallel with the hedge. 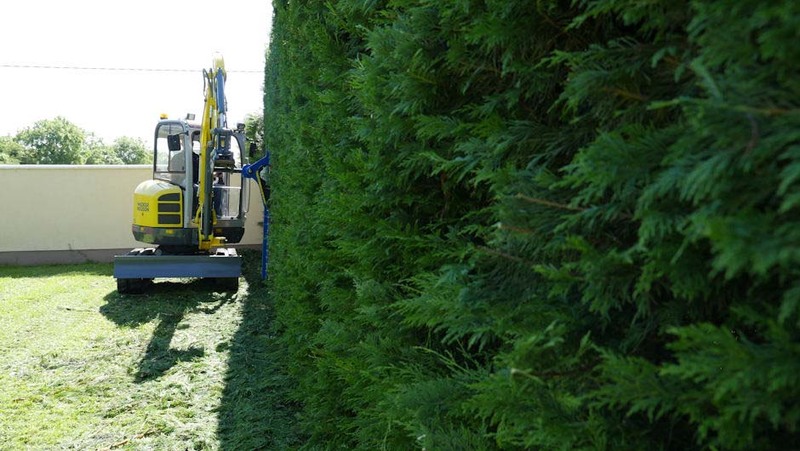 When tracking and cutting, you normally increase the revs and feather the tracks. 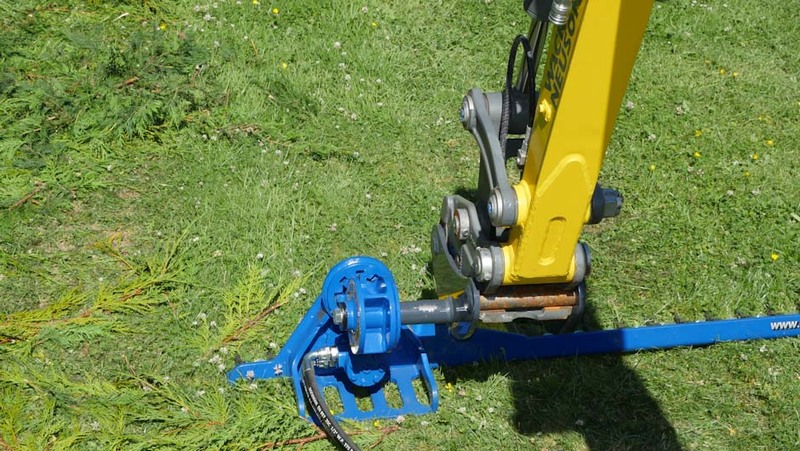 This will normally be at one quarter of movement on the tracking levers. 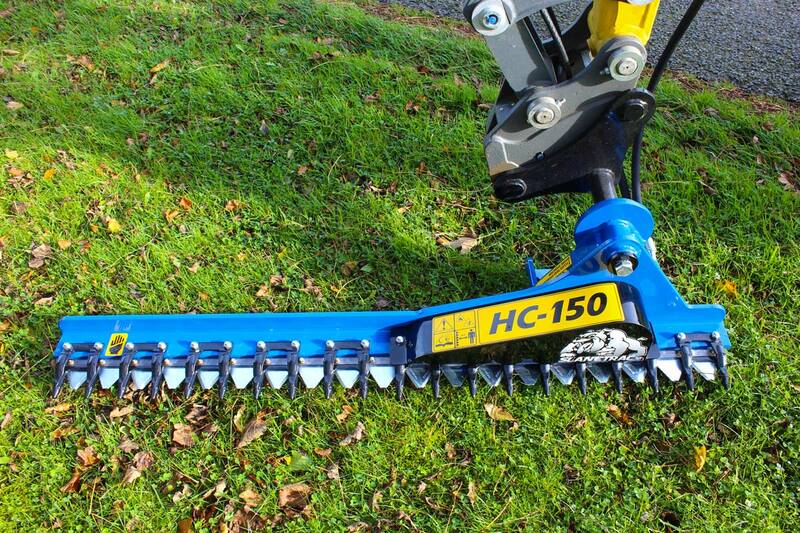 This varies with machines. 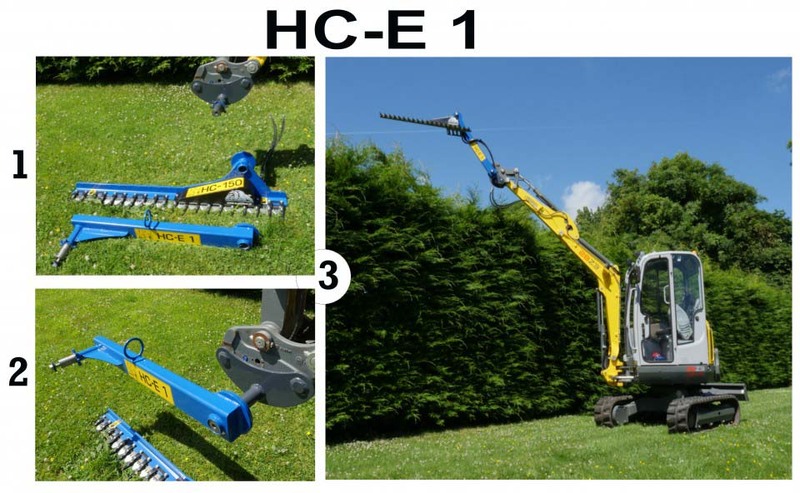 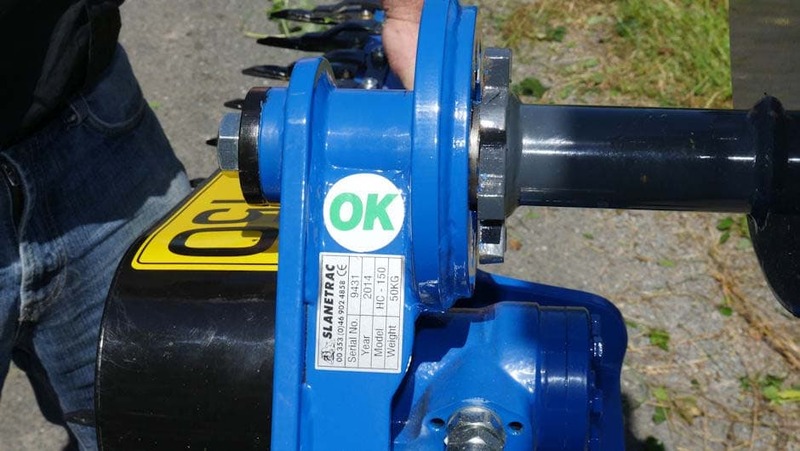 View the video to see the HC Series in use.